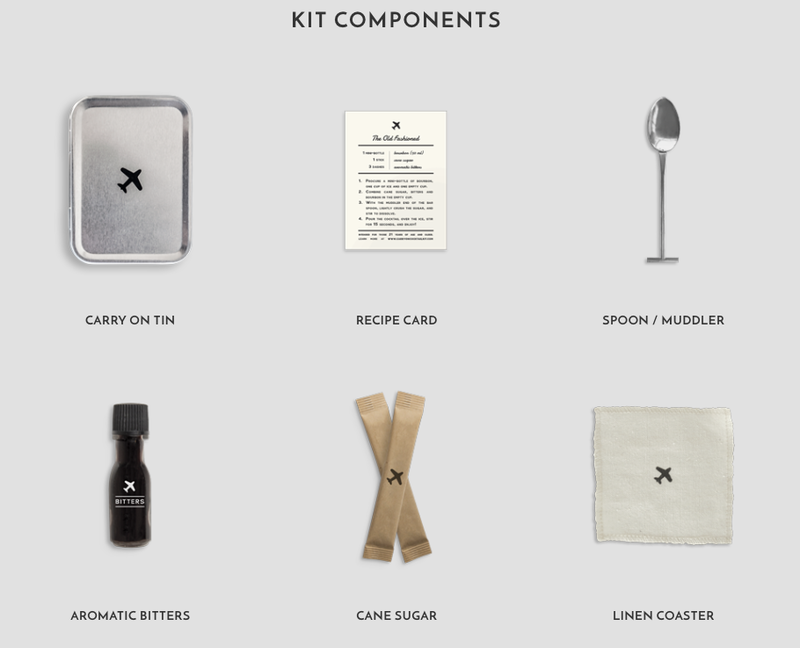 What a lovely way to bring civility back to cattle class flying – the Carry On Cocktail Kit. Tiny, cute, useful and TSA friendly. 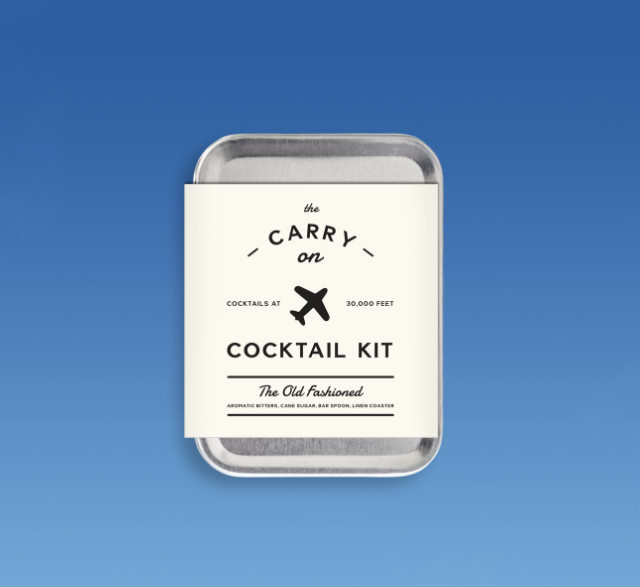 The Carry On Cocktail Kit provides everything you need to mix two proper Old Fashioned cocktails at 30,000 feet. Simply carry on your kit (don't worry, it will make it through security just fine), order a mini-bottle of bourbon, and use the custom combination bar spoon / muddler to mix in the included cane sugar and small-batch bitters.